Use these options to get exposure to the Baltic Dry Index. The Baltic Dry Index is a widely followed global measure of the daily charter rates commodities producers pay shipping companies to move various commodities by sea. In the case of the Baltic Dry Index, it measures the prices paid to ship dry commodities such as coal, corn, iron and wheat. Indexes are not investable securities, but investors have some choices that offer exposure to the Baltic Dry Index. Perhaps the most obvious way to get exposure to the Baltic Dry Index is through the shares of dry bulk shipping companies. These are the companies contracted by commodities producers to move goods by sea. As such, profit and revenue at these companies is largely a function of how the Baltic Dry Index is performing. That is not a bad thing when the index is soaring, but the primary risk to investors is that if the global economy is sluggish, the index will fall dragging down dry bulk shipping shares in the process. Rather than investing in the middle man, the dry bulk shippers, investors can straight to the source and opt for commodities producers. Here, investors can use the Baltic Dry Index to their advantage because sharp increases in the index could be a sign that commodities demand is increasing. With that increased demand should come higher share prices for companies that make the goods moved by dry bulk shippers, such as coal, copper and fertilizer. While dry bulk shippers do not transport oil, the commodity is another potentially compelling indirect way of profiting from the Baltic Dry Index. 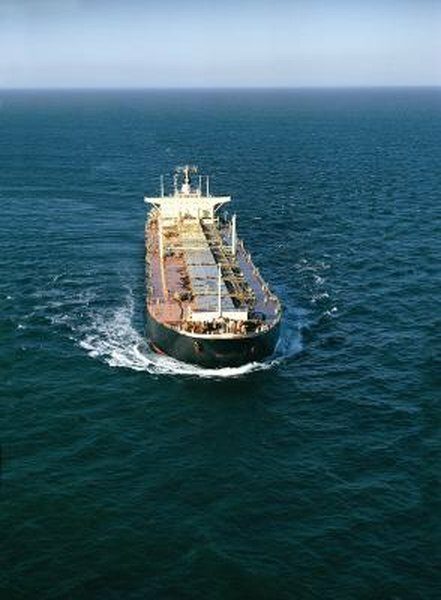 Dry bulk shippers power their ships with oil. In addition, big moves in the Baltic Dry Index could be a sign that oil demand is increasing or decreasing throughout the world. A dramatic drop in oil prices could also be a sign that risk appetite in global financial markets is falling, a scenario that would probably weigh on dry bulk shippers. Some countries are viewed by investors as having more of a commodities tilt than others. Those nations can function as another way of profiting from global shipping trends as commodities demand rises. Good examples include Australia and New Zealand, which are both commodities exporters and have excellent proximity to China. Investors can access those countries through mutual funds or exchange traded funds (ETFs).